Italy's gardens speak to us all. In the history of gardening they are the bridge between our world and the ancient world. Their harmony, symmetry and serenity are at once inimitable and universally copied. During the past few years Italy has awoken to a realization of its gardens. In a gardening renaissance, interesting new gardens are being created all over Italy, and there has been exemplary restoration of some historic gardens. 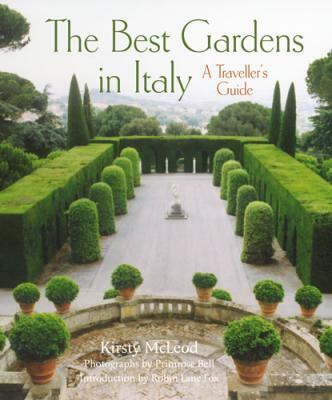 In this pioneering new book, Kirsty McLeod and Primrose Bell celebrate over a hundred of the finest Italian gardens open to the public. They take the reader with them on a journey to these gardens: they explore their history and context, and we meet the owners, hear the stories behind the gardens, and learn how they were made and how they are maintained. Great reviews of these gardens!